Sovathary, Chetra, and Tharum on U.S. Embassy Facebook page. I knew one day I would get to reunite with my blogger friends with whom I flew on a helicopter to visit the U.S. Mercy Ship in 2012, and who share with me immense enthusiasm and passion for mastering the craft of social media. 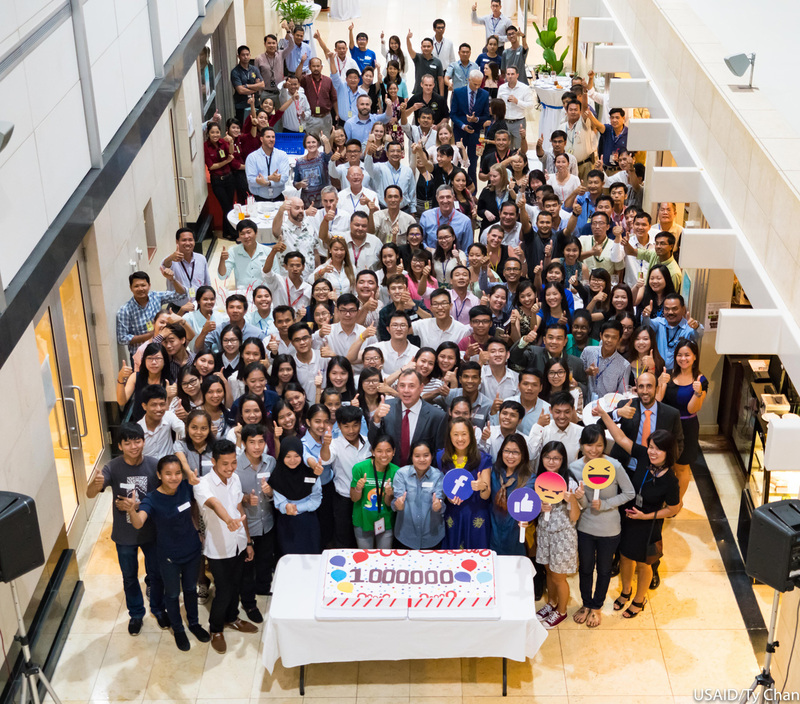 Fortunately, That day just came and it was made possible by an invitation from the U.S. Embassy Phnom Penh to attend its celebration for reaching one-million page likes on Facebook. 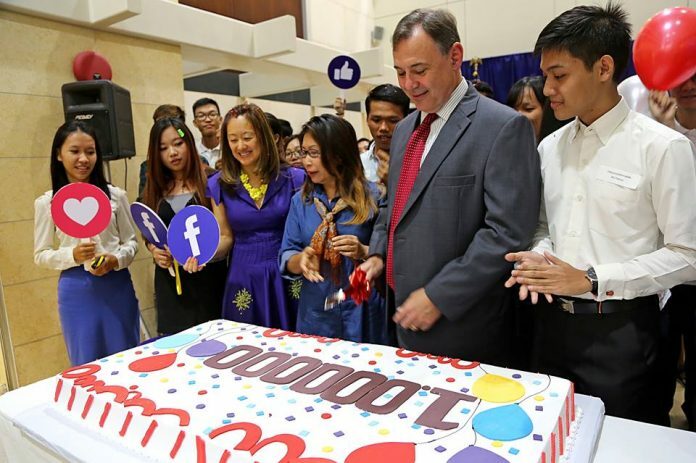 Ambassador Heidt and Cambodian youth celebrate one-milion Facebook likes. 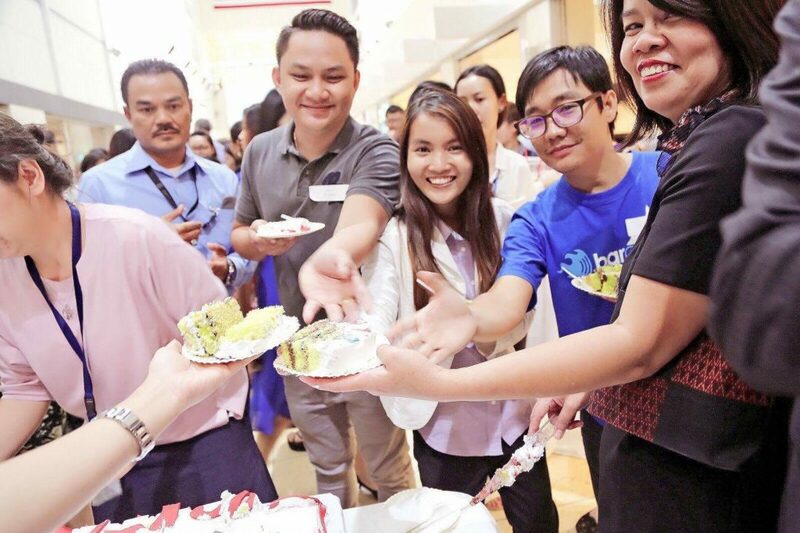 The U.S. Embassy was also the one who put then seven of us, Cambodian bloggers, on a helicopter to visit the U.S. Mercy Ship and the crews whose mission was to help Cambodian people living in Kampong Som and Koh Kong (two South-Western provinces of the kingdom). You can read about this one-day trip here, here and here. We took photos, asked the crew members questions, and interviewed the Cambodian beneficiaries of the Mercy Ship project. Now we met again for a Facebook-related event. One million Facebook likes are a lot of likes. Big congratulations to the U.S. Embassy Phnom Penh. 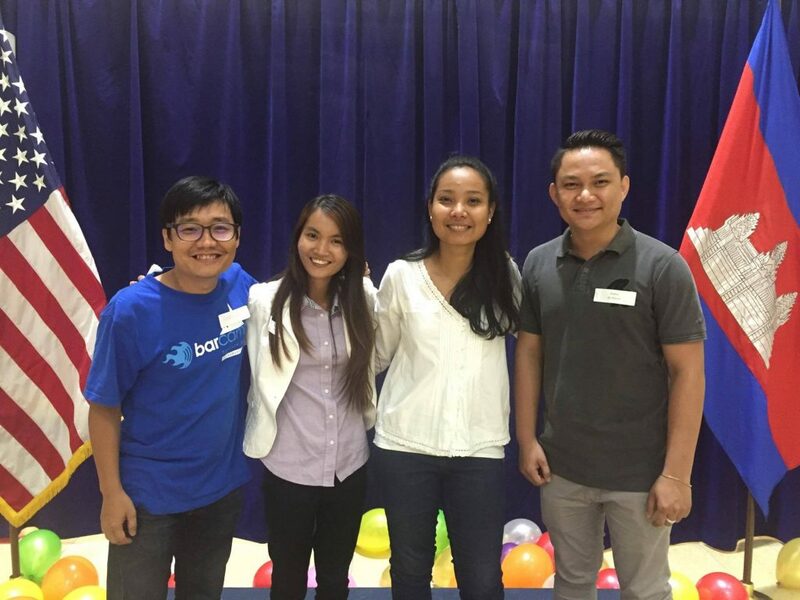 This milestone signifies strong Cambodian public interests on the United States and how the embassy understands the importance of staying connected with the Cambodian people on Facebook. Ambassador Heidt cuts the cake for the participants. Chetra, Sovathary and Tharum are getting the cake made of love the size of one million. Tharum, Sovathary, Kounila and Chetra (aka. the Cambodian bloggers). This milestone also got me to think about what Facebook has become and how it has played a role in almost every part of human lives. Probably, what I said months ago on Facebook about Facebook is still relevant. This is just my overall feeling about Facebook. I will reserve the in-depth analysis of Facebook’s absolute dominance in my future commentary. Stay tuned for it. Meanwhile, make sure you know you need Facebook and learn how to use it the right way for your own personal and professional benefits. Here are my friends’ pieces on this event.